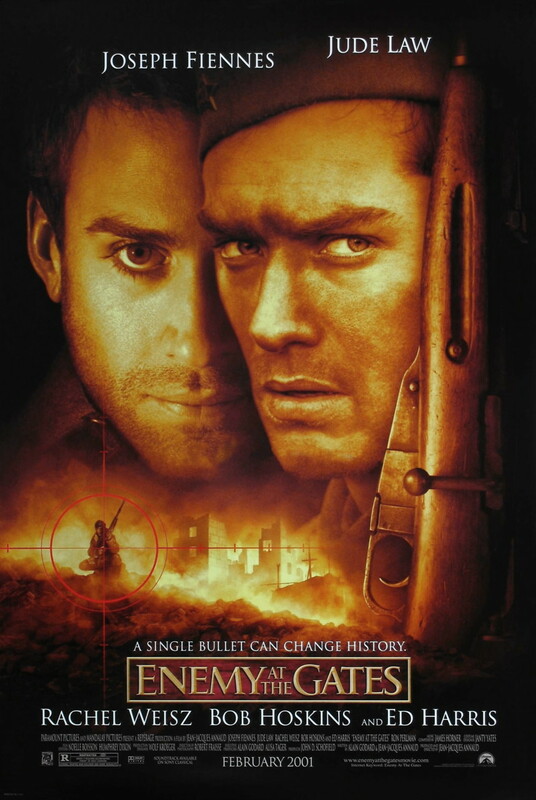 With the Battle of Stalingrad as their backdrop, Vassili Zaytsev, a reluctant sniper in the Russian army, and Major Konig, a professional German sniper play a game of wits and marksmanship as the war rages on. With both pride and patriotism on his side, Zaytsev makes his way through the battle narrowly avoiding death countless times. Love is lost and friendships are tested as Zaytsev is elevated from a humble sheep farmer to legendary status throughout his rivalry with Konig.